Readers of ours are rightly concerned about the role of the media in politics, the role of corporations in the media, and the role of corporations in the government. The skepticism seems justified as lobbying is becoming a way of life and Microsoft’s influence in the United States government keep growing, which in turn gives Microsoft government contracts and other policies that benefit Microsoft and exclude/illegitimise Microsoft’s competitors. This is very relevant to Free software. Those who do not mind the role of corporations (man-made, artificial entities that are nowadays treated like organisms with feelings and rights) should read “We The People”. This state of affairs led to great backlash in the United States about a century ago when it was made a controversial norm and if the recent financial meltdown (paralleling the Great Depression) did not teach anyone a lesson, then hope (or Hope©) has its clear boundaries. US Corporations can now spend all of their money buying US politicians and laws. There are no longer limitations on how much money any group can spend on political advertising. We find no basis for the proposition that, in the context of political speech, the government may impose restrictions on certain disfavored speakers,” Justice Anthony Kennedy wrote for the majority. “The court has recognized that First Amendment protection extends to corporations. It is incredible that constitutional rights are now extended to non persons while the same are treated cynically when applied to citizens. Public corporations, established for business purposes, should not be allowed to spend any money on politics. This imposes no burden on their members who are as free as the rest of us to say anything they like. Expect very bad things to come from this. Since NPR is cited above, it is worth reminding readers that NPR is given money from the Gates Foundation (which in turn receives good coverage from the NPR reporters, as we showed a few times before). To cite a trusted source about the news, here is Democracy Now (direct link, alternatives to Flash available), which previously helped expose the evil side of the Gates Foundation. She proudly told me that her home has been Microsoft-free for years. When I showed her this blog, she asked me what I thought of the Bill and Melinda Foundation’s recent contribution to Pittsburgh Public Schools. I thought about it and replied that IF this is an attempt to get more Microsoft in front of children, then $40 million in 2010 is too little too late. The word “contribution”, as opposed to “donation”, is probably right to use here; it is “contribution” is the same sense that money is given from companies to government officials and their campaigns, later to pay off when they make concessions and return favours. A better word to use here is “investment” or maybe just “bribe” (there are strings attached); the latter is too crass, even if it’s practically true most of the time, only to be perfumed and replaced by euphemisms. “Gates is laundering his reputation with the help of papers, many of which he owns or gives a lot of money to.”As many readers are probably aware, Microsoft employs external PR agencies that work around Twitter to incentivise pro-Microsoft tweets, suppress criticism, and report activity based on a sort of profiling of people (Microsoft McCarthyism). FYI, Gill Bates has damned good connections with Arianna Huffington. She posts his wife’s stuff. She posts his Dad’s stuff. She posts Steve Ballmer’s stuff. Now she’s posting Billg’s stuff. Which is pretty disgusting. No, it’s totally disgusting. 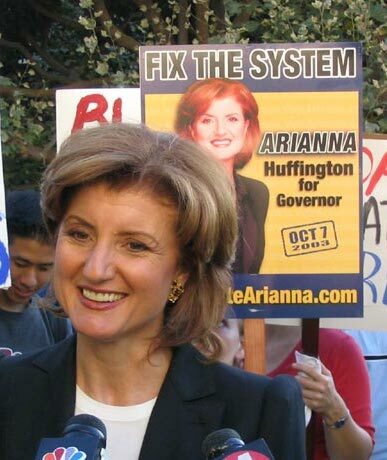 I used to think Arianna was pretty smart, but this makes me think that she’s totally out to lunch, and that you cannot trust anything from the Huffington post anymore. I mean, why, would anyone, allow a businessman who ran an organization that operated in a criminal manner, to use their publication that way? A person with conscience wouldn’t, and it looks like Arianna doesn’t have a conscience. as usual, and we really need 80% by 2030. What he is arguing is that he should be allowed to pollute for 20 years more. Which is probably good for Microsoft’s bottom line, but is going to kill increasing numbers of their customers are storms caused by Climate Change do more damage. Of course that isn’t Bills concern. Only his profits are. Sorry for the rant. I used to work in the emissions control industry. Whenever I see someone lying through their teeth about the consequences of not cutting emissions, I rant. Someday, someone might even listen. Note that Gates is spreading the “innovation” meme. A few days ago we gave another new example where the Huffington Post gave Steve Ballmer a platform to spread the “innovation” propaganda for patents (Ballmer was co-author). The part about Gates’ attitude towards the environment is not too shocking because Gates does not care about Global Warming. We already knew that. Is it acceptable to let these people educate the public and influence education?